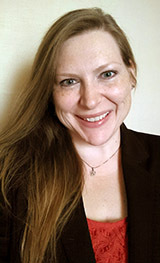 Ms. Vonau focuses her practice on Family Law Litigation including divorce, child support, allocation of parental decision making and parenting time (formerly custody and visitation), termination of civil union, and orders of protection. She handles both juvenile abuse and neglect and delinquency cases. She also handles residential real estate closings. Ms. Vonau has extensive experience in both the civil and criminal courts at all levels of hearings and trials. Ms. Vonau is licensed to practice in all Illinois state courts. She is a member of the Illinois State Bar Association, the McHenry County Bar Association, Friends of the Crystal Lake Library, and the Crystal Lake Chamber of Commerce. She is also a Certified Arbitrator and Family Law Mediator in McHenry County. She is an active member of the McHenry County Substance Abuse Coalition. 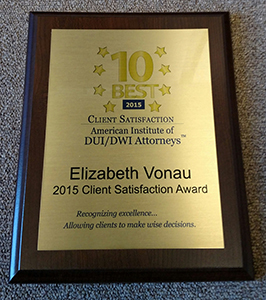 She has been named Top 10 DUI Defense Attorneys by the American Institute of DUI Attorneys, Top 100 Trial Lawyers by the National Trial Lawyer Association, and McHenry County’s Best Under 40 by Shaw Media Business Journal. She is also rated at 10.0 on AVVO.com. Juris Doctorate, DePaul College of Law, Chicago, Illinois. Presidential Scholarship Recipient. B.A., History, Northern Illinois University, DeKalb, Illinois. Before joining KRV Legal, Inc. Ms. Vonau was an Assistant State’s Attorney for McHenry County, and founder of LAW OFFICES OF ELIZABETH M. VONAU. As an Assistant State’s Attorney, Ms. Vonau was responsible for numerous bench and jury trials in both misdemeanor and felony matters. In private practice she has extended her trial practice to all areas of family law.